Personally, I love lemon because it looks small but it's the storehouse of many vitamins and minerals which are important for our body's health. Lemon is mainly known for its high content of vitamin c but lemon contains many more vitamins like vitamin a, vitamin b1, and vitamin b6 and many minerals too in it. Lemon is a fruit which can be easily available in the market for the cheaper price and it can easily available in the form of lemonade on the streets of many countries in the world. lemon is very beneficial for the skin as well as for the hairs, it can remove dandruff from your hairs, you have to use 2 tablespoons of lemon water or juice whatever you want to call it and massage it on the roots of the hairs for 5 minutes and then wash it with water, don't use shampoo which contains chemicals only use natural shampoos while washing your hairs and after that you will be able to the results. lemon can use for reducing the acne from your skin, it can be helped by drinking it by making lemonade, you can see the results very fastly, or you can use it directly on your skin, you just have to apply by cutting the lemon and take 1 tablespoon of it and apply it gently like a scrubber for 5-10 minutes and wash it with cold water, you have to do this for 2 weeks minimum for the better results. Lemon contains many nutrients which are good for the heart, it removes many toxins which are harmful to our bodies health, it contains potassium which helps to control the blood pressure level in the body, lemon prevents stroke. lemon helps in detoxification in your body, you can add lemon with much other fruit juice to increase the nutrition value the drink. you can drink lemon juice with water in the morning, you have to drink it empty stomach for better results. 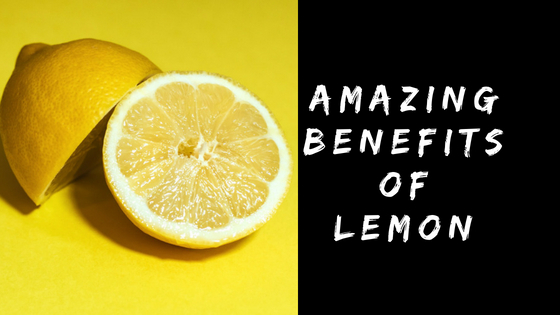 Lemon can be used as many sports drink for better performances, many big brands of the world are using lemon as their main ingredient and many other brands are using it for their sweeteners in their energy drink, many beverages companies are using lemon to increase the taste. Lemonade is a drink which is famous in all over the world because it can be made very easily, it's the drink which power-packed with many nutrients and it's a super drink for summers because in summers the temperature in which we all peoples work outside our home and at that time our body gets dehydrated and many electrolytes reduces from our body lemonade helps to replenish those electrolytes from the body. Lemon juice boost your immune system because of its high content of vitamin c, you can drink lemon juice for weight loss, you can add lemon in your diet like you can drink it or you can add this in your snacks. It is good for digestion, it contains anti-inflammatory properties and helps to maintain the ph balance in the body. You can add lemon in your tea for a good start of the day, lemon is a fruit which you can use it the whole year.